Featuring blog posts in your website can be a huge magnet to generating readers. This is especially true for the B2B niche, where marketers see 67% more leads while comparing to their non blogging competitors. But mainly blogging is not enough, you need to know how to write a blog post with SEO in mind. SEO stands for Search Engine Optimization, it’s a set of skills that help your content to be easily understood by the various search engines, namely Google, Bing and Yahoo. When your blog posts are well understood, they can appear higher in the search result page. Take an example, if you’re selling handmade soaps, and you’re using all these SEO skills on your blog posts for marketing. Your prospective clients will be able to see your website listed on the search result page when they search for handmade soaps. There’s a lot of ways to do SEO, and we have some basic stuff listed down, so you can start optimizing your blog posts, and get more leads for your business. Always keep your reader in mind when writing. Before anything, write good content. Good content doesn’t speak down to the reader. It’s easy to digest and provides the reader with value. You can provide value by entertaining your reader or by telling them something they didn’t already know. Providing unique content that is interesting and usable for your readers is really important. That’s why you need to build a profile, or we call it a persona. Your reader persona, those who will read your posts, should overlap with your buyer persona, those who have a need to buy your products or services. So before you start stretching out your fingers to type out blog post after blog post, start researching about who you are writing for. Which age range does your readers fall into? What kind of problems/situations are they facing and how can you help them? You can definitely have a more comprehensive list to build a more fleshed out version of your reader persona. The more details you have, the easier it is to really speak to them by creating really good content that they actually need. If you write good content, there is a better chance people will share, like, or link to that content. This can help you increase your domain authority and rank higher in search engine rankings. Keywords are very important for SEO. Keep a list of different types of keywords that are a mix of short, high-value keywords and less competitive long-tail keywords. Short tail keywords tend to have a higher search volume, but it’s also harder to rank and harder to pinpoint what exactly a reader want. With longer and more specific keywords, you can easily gauge the search intent and provide spot on content for your readers, albeit there’s less of them (at least in Google Keyword Planner anyways). Since Google released its Hummingbird update in 2013, the search engine has become smarter than ever. It understands context, synonyms, idioms, and turns of phrase. So instead of reusing the exact keyword again and again, you can also use LSI-keywords to help you build a richer content that stays just as relevant. I use LSIGraph to quickly get a list of closely related LSI Keywords for my posts, the accompanying data can come in handy too. Is the search volume big enough to attract readers? Is the keywords related to the content you’re building? Will it be better to be a standalone keyword for another piece of content or it’s only worth to be an accompanying keyword? Is it something that will be relevant for the readers and to the main keyword in the long run? This is not the reaction you want from someone’s who’s trying to read your blog post. Not only for the sake of SEO but also for your human readers, make use of clear structures in a way that’s easy to understand each blog post. Basic writing principles. Always start with an introduction and a hook for the reader. Keep it short though, in the era of scroll, scroll, exit, you want to get to the meat of your post before your readers click on that X. 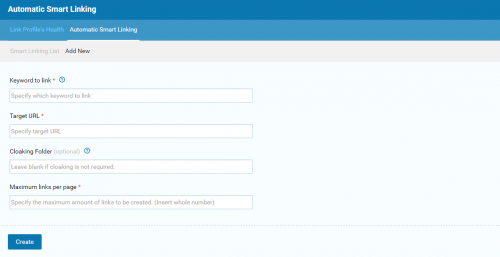 Break up your major points into separate sections using headers and sub-headers. Also make sure the headers stand out, so your readers can easily scan and stop to read the information that they’re actually looking for. Keywords, never forget keywords, I know I sound like a broken record but you need keyword for SEO. Use your keyword in at least one of your headers, some people swear it doesn’t matter anymore since Google is so advanced in understanding languages as human do, but I digress, if there’s nothing wrong with it, AND it helps to deliver your points in a more impactful way without making the whole sentence looks weird, then why not. Keep your sections short. Most bloggers say that a 300-word limit is a good target to shoot for. Short but packed, that’s what’s you need to aim for. Finally, write a conclusion for your blog post. Include a conversion opportunity, like a link to your contact page, in your conclusion. Or recommend them more similar posts to read, you know, keep them hooked like wikipedia. 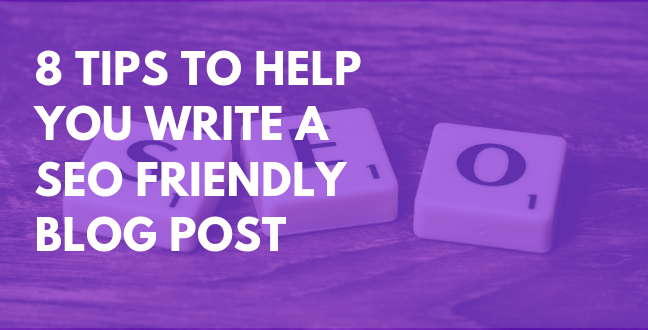 If you want your blog post to be easy to read, you need to write short paragraphs. This is true even if you’re writing about a highly technical subject matter. It’s your job as a blogger to break down complex ideas so they are easy for anyone to understand. Short paragraphs make each point clear and easy to understand. Nobody wants to read a term paper. You must also consider the device your readers are using. If they’re accessing your blog post on a mobile phone, a wall of text will turn them away. That said, just because you write short paragraphs doesn’t mean you should write short blog posts. This is a subject that has been debated over and over among marketers. Some argue that short blog posts are a better match for people’s short attention spans. Others argue that long blog posts are more SEO friendly. Instead of worrying about word count, focus on quality. Blog posts about broad topics can be relatively short. But others need to be longer … much longer. You should write a mix of short, topical blog posts and long, “evergreen” blog posts. Evergreen blog posts retain their value over time. These are the posts that are most likely to get high in search rankings. Your evergreen content should be over 2000 words. It should cover a narrow topic extensively, providing a lot of value to the reader. Niche and long-tail searches will prioritize this content, but it can also be a magnet for backlinks and shares as well. Take your time with your blog content. Excellent content is not something you can typically pump out on your lunch break. You’ll want to embed images, graphics, videos, and even interactive elements to break up the text in long blog posts. You can also create a table of contents at the top of your long blog posts to make it easier for readers to navigate. This may also help search engines navigate your page. The average blog post is now 1142 words long and over 85% of online content is less than 1,000 words long. Writing long blog posts gives you an opportunity to stand out. A link (or hyperlink) is an object on a webpage that takes the user from one page to another. They can also be calibrated to open pages in a new browser window. When considering a blog post, there are three types of links: internal, outbound, and inbound. Inbound links (sometimes called “backlinks”) are links on other people’s websites that go to your own. You don’t have much control over these, but there do exist some backlinking strategies that can help. Often, writing quality content is the best way to obtain backlinks. This should be one of your top priorities. Internal linking basically means linking only to pages that are within your website. These are links from your blog post to your other blog posts, or to other pages on your website. Wikipedia is a master of internal linking, if you’re like me, I’m sure you have spent more hours than you would like to admit clicking from one page to another and… another on Wikipedia. That kind of unstoppable itch to continue clicking and reading is what you want to replicate in your own internal linking efforts. Having a good internal linking structure can also help search engines to navigate your website easier on top of distributing page authority and ranking power evenly throughout your website. Outbound links are hyperlinks that lead to another domain (that is, another website). You may (or may not) get a link back from the website that you’re linking to, if that’s the case; yes more backlink! Some suitable spot to throw in an outbound link includes when you’re using a statistic, you should link back to them, at least to show respect to their effort. 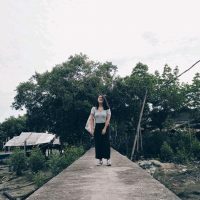 You can have a list of credits at the end of your blog post, but the more natural way is to just hyperlink them with a suitable anchor text when it’s mentioned. Every page on your website has attributes that must be filled. If you’re using a CMS like WordPress, sometimes, they will fill it for you. But it is much much better for your SEO if you can fill in all those attributes by yourself, to make sure that is what you really want, and for maximum SEO of course. Some of these attributes are technical so you may need the help of a web developer if you’re not intimately familiar with your content management system. Or you can always use the help of some CMS addons. Your SEO title is the title that will appear in search engine results. It is separate from your blog title, although they are often identical. In the case that you have a different blog title and SEO title, search engines will always read and display your SEO title in the search result page. Your primary keyword should always be a part of your SEO title, some say that it should be located at the front of your headline, and we think there’s no harm doing that at all. However, if you’re using our WordPress plugin, we automatically shows you how optimal your title is. Is it too short or too long? Is the placing of the keyword alright? We’ll always keep an eye out for you. If you’re asking yourself, “What’s a URL?” just look up to where it says “https” in your web browser. That’ a URL. While using the SEOPressor plugin, keep an eye on the suggested optimization for tips on improving your SEO attributes, including SEO title, URL, canonical link and more. URL stands for “Uniform Resource Locator,” which is really just a fancy way of saying the address of a specific page on the internet. Most content management systems will generate your blog post URL automatically. Typically, it will match your SEO title, another reason why your SEO title shouldn’t be too long. Your URL should include your primary keyword. If your SEO title includes your keyword, you likely won’t need to change your URL. However, you may need to adjust your URL depending on your website. If you post several new pieces of content every day, like a news site, it may make more sense to categorize your URLs differently. For example, you can organize URLs by topic or category, or by the date they were posted. Some news sites simply generate strings of random numbers. Whatever that fits your needs the most, really. One rule though, it’s always better to have a URL that clearly shows what’s the page about in a glance. Having your targeted keyword in your URL is always a plus, search engines will have a better understanding of what your web page is about if it is clearly stated, just like human visitors do. When they understand your web page better, they will rank them better. Your meta description is a short synopsis of your blog post, or easier identified as that short description appearing below your SEO title and URL in the search result page. Meta description can play a big part in attracting someone into checking out your post. So you want to keep that in mind when writing your meta description. When someone is searching for the keyword you’re targeting, what do they need? That should be your content, and the juicy bits to show off on your meta description to get those click rates high. Again, keep it short and make sure your keyword is in there. In other words, if there is a duplicate of the page on your site, search engines won’t penalize you for it. Most bloggers won’t copy and paste something they wrote to another page. But Google still recommends you generate a canonical tag for each page and blog post, just in case. And if you’re doing guest posting or syndicating your blog post on content curation sites like Medium, you absolutely needs to set up the canonical tags to make it clear that all link juice or page authority should be directed to your original work. Your H1 tag is one of the most, if not the most important SEO attribute on your blog post. Search engines will crawl this tag to determine what your post is about. This directly influences how your blog posts show up in a search engine. Your H1 tag will typically be the title of your blog post. Like your SEO title, make sure to include your targeted keyword, and keep it catchy to get those clicks. Alt tags are hidden pieces of text that are accompanies every image. Think of it as a short description of your image. What they do is, they help visitors with screen-reading technology understand images on your site. Typically, people using this technology are visually impaired or have another disability. So the only way they can understand an image, is by machines that read the alt tags. That’s what I mean when I said the tag needs to describe what’s in the image. This tag is an important tool to make your blog post accessible. Search engines will penalize you if your images are missing alt tags. You can add them through your content management system (CMS). As all things SEO, you can include a keyword in your tag too, but it is not really recommended. While keywords can help you determine how to write SEO friendly alt texts for images, don’t forget the original purpose of alt texts. Stuffing keywords into your alt texts won’t have much effect on your ranking. Instead, use a few words to describe the image for your visitors. That said, if it makes sense to add keywords in your alt text, do so. Even if you’ve created the best homepage ever, you’ll need to write ongoing blog posts if you want to rank in search results. If possible, update your blog a couple times each week. Can you blog every day? Even better! Just make sure you don’t sacrifice quality for quantity. A blog that’s frequently updated with fresh, high-quality posts will keep the search engines happy. Getting high SEO rankings for your blog posts can take time. In fact, 55% of domains that rank in the top 3 are over 10 years old. But getting to the top of search results can mean real revenue for your business. Sites listed on the first Google search results page receive 91.5% of all organic traffic through the search engine. If you need help creating SEO friendly blog posts, SEOPressor can give you a full analysis of all your pages and your blog. SEOPressor uses an algorithm that emulates Google to help you identify and manage every SEO opportunity on your site. Sign up now to maximize your SEO control. Looking for more information? Check out some of our SEO resources.